Peak Chain Link Fencing is a durable, cost-effective solution that provides security and boundaries with unobstructed visibility. Ideal for residential yards, commercial use, sports fields, farms and ranches. 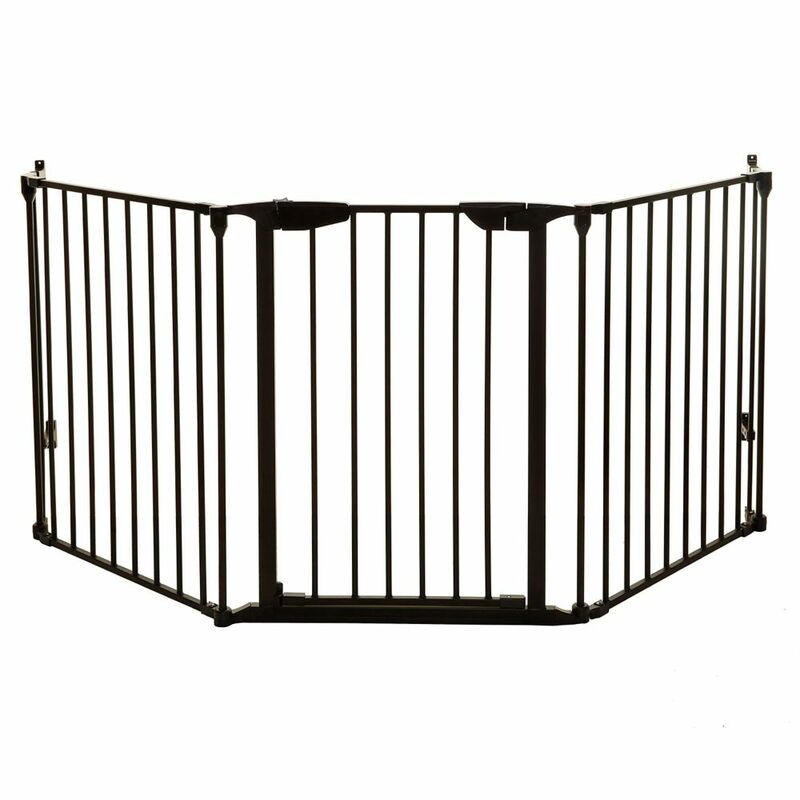 The Adjustable Chain Link Gate is easy to install and can be assembled to fit openings from 24" to 72" wide. The diagonal cable reinforces the heavy duty galvanized frame to prevent sagging. The black powder coat finish provides an attractive look and resists corrosion. The hinge and latch hardware are sold separately, giving you the option to choose a fork latch and hinge (Peak Gate Hardware Kit), or a self-closing hinge and latch (Peak Pool Gate Hardware Kit). The Newport Adapta-Gate - Black The Dreambaby Newport Adapta-Gate combines safety and convenience in one fantastic package. Hardware mounted for stability, it incorporates three hinged panels that can accommodate straight, angled, wide, and/or irregular openings and landings. Unlike many other gates that only span a doorway, it creates safe and roomy landings at the top or bottom of staircases and can also be used across wider openings. It's easy to arrange and install. Our gate allows for one-handed operation, has a convenient automatic close-and-lock feature, and comes with an EZY-Check indicator so you know when the gate is securely closed. Stay-Open feature, which is perfect for when you need to move freely through. The Dreambaby Newport Adapta Gate swings open in both directions, but you can limit it to open in only one direction. This feature is especially important when used at the top of stairs. Hinged panels can accommodate openings of 33.5 inch - 79 inch across. Gate measures 29 inch high.